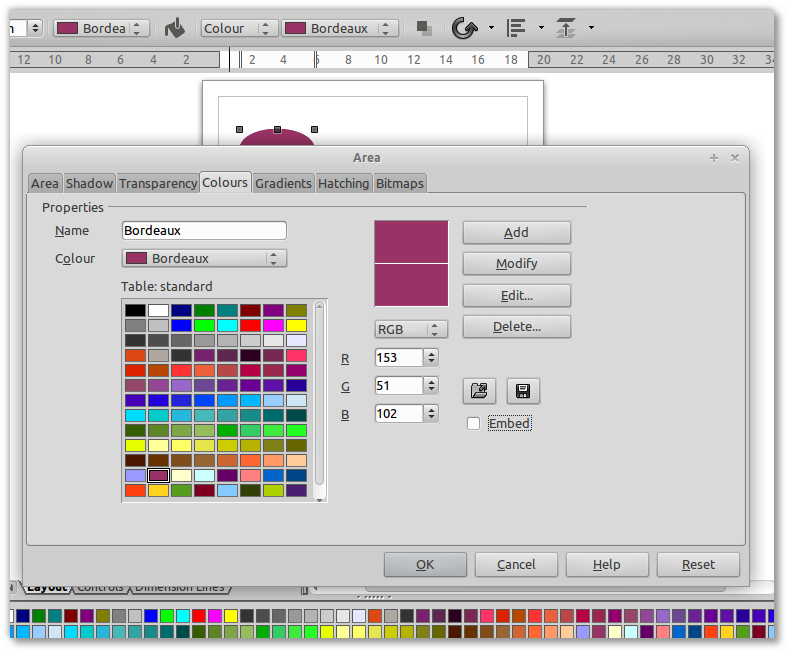 In LibreOffice Draw 4.0 I can set the (background) color of shape by choosing one of defined colors from the drop down menu. 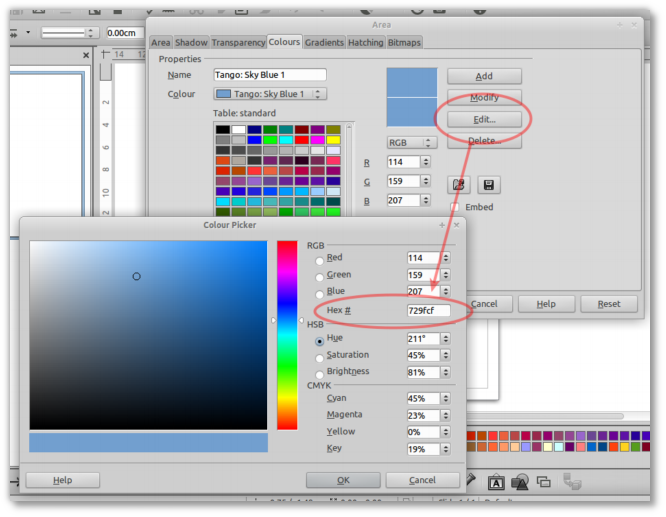 But how can I set my desired RGB value? Thanks @David. This will do the work. 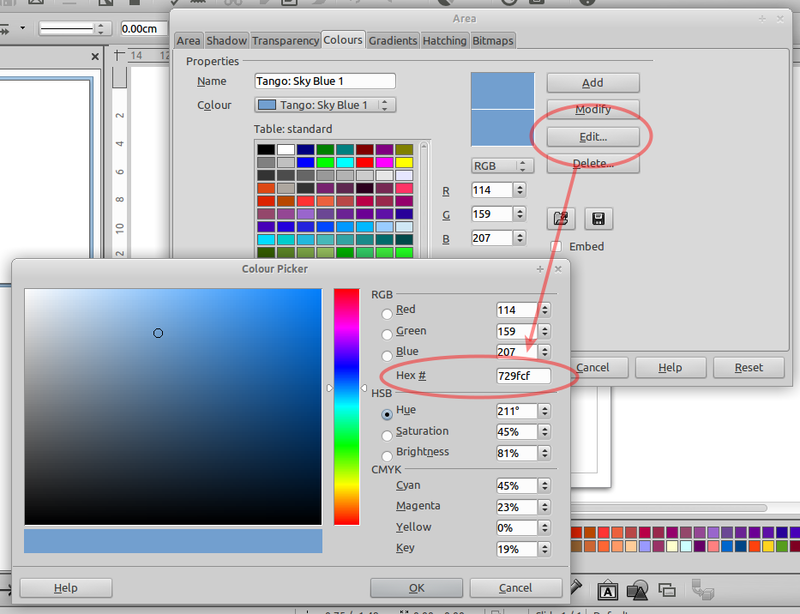 Is there a way to enter the RGB in this format: #FFE699? It is quicker. Yes there is: hit the "Edit..." button in that screen, and you'll get a further pop-up with a hex field: http://i.imgur.com/SuO0P8o.png for a screenshot. I don't know if you can get to that dialog more "quickly". Perhaps someone else will know if you can add that dialog directly to a higher level of the menu, or assign to a hot key.